SAMe is a chemical that is found naturally in the body. It can also be made in the laboratory and has been available as a dietary supplement in the US since 1999. 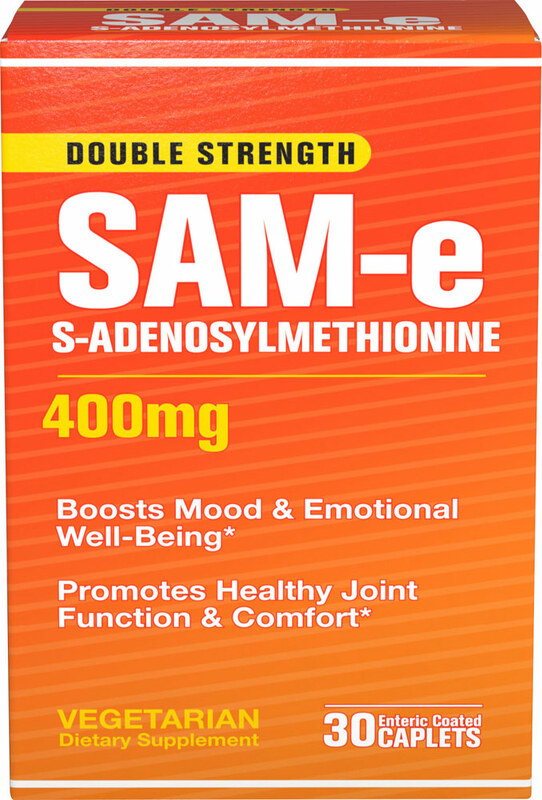 SAMe is used for depression, anxiety, heart disease, fibromyalgia, osteoarthritis,bursitis, tendonitis, chronic lower back pain, dementia, Alzheimer’s disease, slowing the aging process, chronic fatigue syndrome (CFS), improving intellectual performance, liver disease, and Parkinson’s disease. It is also used for attention deficit-hyperactivity disorder (ADHD), multiple sclerosis, spinal cord injury, seizures,migraine headache, and lead poisoning. Women use SAMe for premenstrual syndrome (PMS) and a more severe form of PMS called premenstrual dysphoric disorder (PMDD). The body uses SAMe to make certain chemicals in the body that play a role in pain, depression, liver disease, and other conditions. People who don’t make enough SAMe naturally may be helped by taking SAMe as a supplement.